Chef Marcus Samuelsson teaching healthy eating in the culinary demo "Kids Cooking Revolution"
Italy participates for the third time in a row to the Wine and Food & Fall Ferrari Festival in Saratoga Springs. The Italian Trade Commission, main partner at the event, organized a series of presentations to promote authentic Italian food products and high quality wines, healthy eating for families and the excellence of the Italian lifestyle! 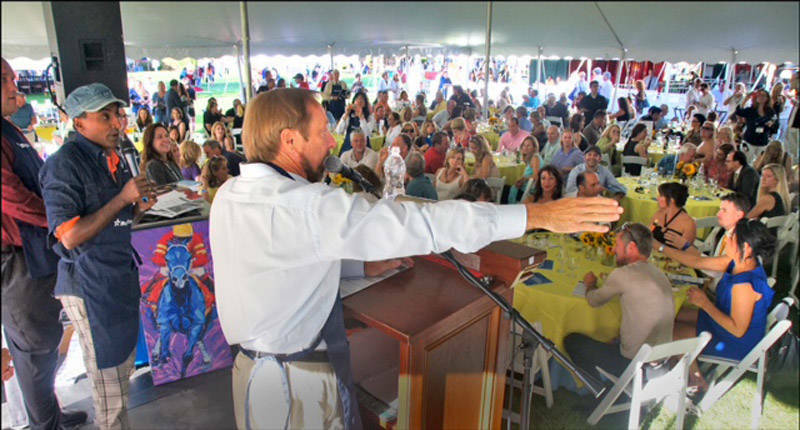 The great wines and specialties of Italian cooking were the protagonists of the Saratoga Wine and Food & Fall Ferrari Festival, that took place in Saratoga Springs, New York, on September 9-11. The rich program featured a series of events designed to introduce the American public to the best of the MADE IN ITALY seal of quality. Among the different activities guests had the chance to participate in specialized business meetings, tastings of traditional products and specialties, and seminars held by American experts. The celebrity chef Marcus Samuelsson starred in the culinary demo titled Kids Cooking Revolution, where, using Italian products, he showed American kids and their parents the importance of healthy eating. Kevin Zraly, renown wine expert, Lou di Palo, “guru” of authentic Italian cheeses, as well as Michael Wilson and Joe Campanale of the magazine La Cucina Italiana, participated in interesting conversations among American wine lovers and the numerous foodies that were attending specific seminars. The Italian pavilion was visited by more then 3.500 consumers. 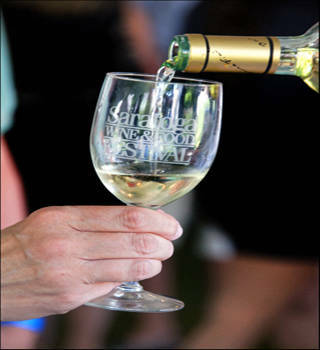 The pavilion, surrounded by the mystical beauty of the park of the Saratoga Performing Arts Center, featured a large selection of prestigious wines and liquors, and, of course, food specialties. The evening event After Party Aperitivo: Celebrating Italian Cocktail Culture, was held to introduce the social moment of “aperitivo,” a typical custom of Italian living and culture. As always, it has been greatly appreciated by all... everybody loves the opportunity to experience firsthand the latest trends in cocktail making (and drinking). The Italian experience was completed by a vast array of sports cars, new and vintage, and of boats. 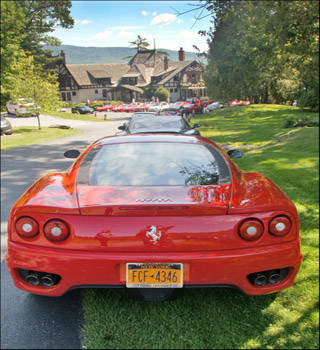 Ferrari owners, coming from all parts of North America, gathered in Saratoga Springs and participated in high speed tours of the breathtaking Adirondacks. Italy exported US$ 3.183 billion worth of food and wine products to the U.S.
Italian food and wine exports to the U.S. grew by 2.35% from 2009. Italy ranked 6th in exports to the U.S. food and wine market. Italian food and wine products continue to thrive in the American market because of their reputation for superior taste and quality. Italy is the number 1 exporter to the United States of the following products: wine, mineral water, olive oil, cheese, pasta, and prosciutto. Despite the bad economy quality is still cherished and Italy keeps going strong.